As my first anniversary of living in Barcelona is getting closer I am spending some time looking back and re-evaluating my career and life situation. It is far too easy to stay busy with everyday tasks and miss the big picture. While I was focusing on my personal development in the past year I kind of accepted that it is OK not having a professionally challenging job. However this can be a dangerous path, with a trap one can easily fall into: if there are no challenges, it must be because we already know everything! Don’t get me wrong I was still learning but that happened outside of daily work. I see it more clearly now that I could improve much faster if work hours would be aligned with my professional growth as well. With this in mind I’ve decided to look for new opportunities. I started my research to find companies I want to work for. It was a crucial moment when I realized while it’s useful, if I want to be honest with myself, I am procrastinating on sending the applications. I wanted to know more about my fears and fight them. After some self-introspection it turned out that I’m afraid of being inadequate and being a failure in general. 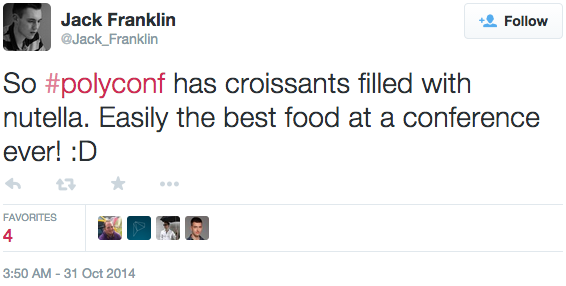 On an absolute scale which step of the career ladder am I on? It feels like I see some steps below me and the next one or two above me but I don’t know where this step exactly is in the industry. 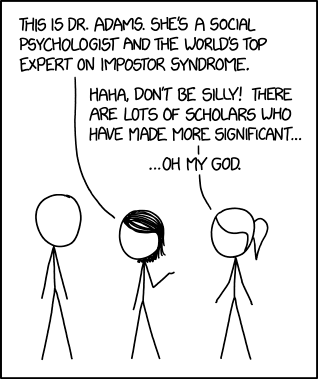 If I wanted to sound scientific I would ask where the line is between the impostor syndrome and the Dunning–Kruger effect. I am convinced that by going through some interviews again will help me cope with these feelings. And I want to gain some insights into where I must improve. Last week, with the company’s support, we had the chance to visit PolyConf. 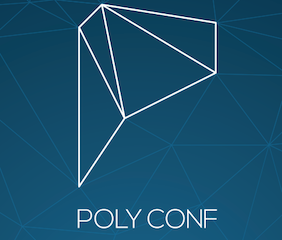 PolyConf is a two-day, single track, multi-disciplinary conference on advanced technologies for programmers interested in polyglot approach to software development. Our goal is to foster exchange between programming languages. The conference was great, I will highlight some of my favourite talks. We usually look to software as an engineered bridge or building (structure) but maybe we oversimplify it. Garret took a different approach and look to software as a biological organization. He pointed out that in biology, diversity is driving adoption which is the driving force of innovation. Could we change our view about software development process? Could we apply evolutionary models to our job? I highly recommend this talk, we should talk about it more. Justyna Walkowska - Should Everybody Learn to Code? It’s a hot topic in every community and also in education politics. Justyna is a teacher herself who taught computer science to different ages (from children to elderly). She shared her experiences and stated that teaching programming to children can be useful to strengthen their basic logical thinking. It was a great presentation about old and often forgotten concepts, such as persistent data structure and immutable bitmapped vector trie. He also presented some real-life examples on how we could apply these techniques to be more memory and CPU efficient. He mentioned a 50 years old paper I’ll definitely read: Man-Computer Symbiosis by J. C. R. Licklider link. Alexander was a genius on stage, he was live coding in ClojureScript and presented its capabilities to the audience. I liked his style a lot and he showed that how to do an entertaining and useful live coding session on a conference. I have already seen this presentation from John on Craft conference (recording), the concept is promising, I’m planning to give rubycheck a shot. Michał Taszycki - Commodore 64 could do that? This was a funny talk about how we can do asynchronous programming on our beloved C64 with a neat trick. Subscribe to 64bites screencasts to learn how. Long live C64! I’ll update this post with the missing slides as soon as I can.